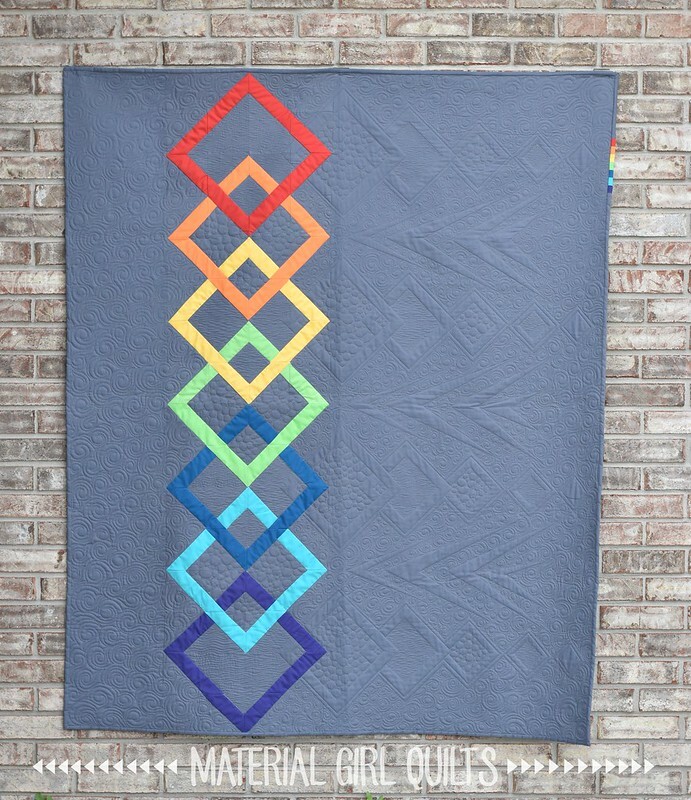 This quilt started in 2014 when my (then 8 year old) son created a design with his Magformers toys and said "Mommy, I think you should make this into a quilt! ".....CHALLENGE ACCEPTED! I finally pulled this quilt back out this past spring and finished piecing the top. 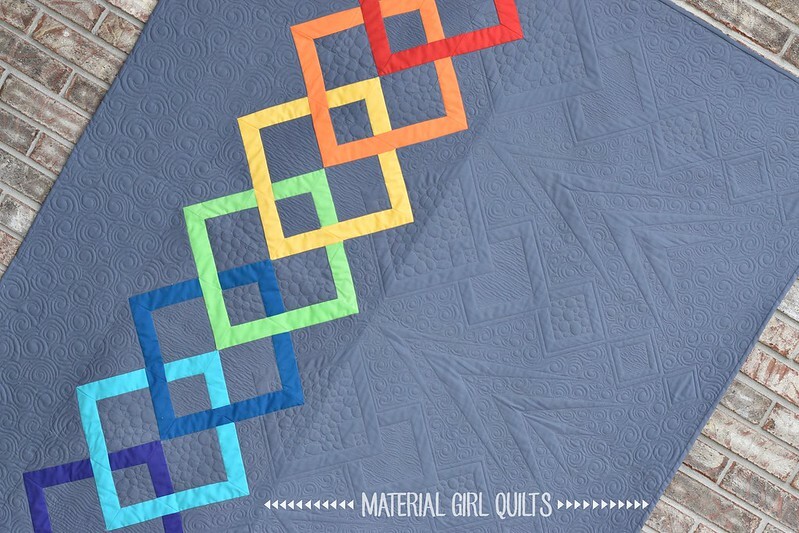 With the vast amount of negative space, I knew it needed some special quilting. 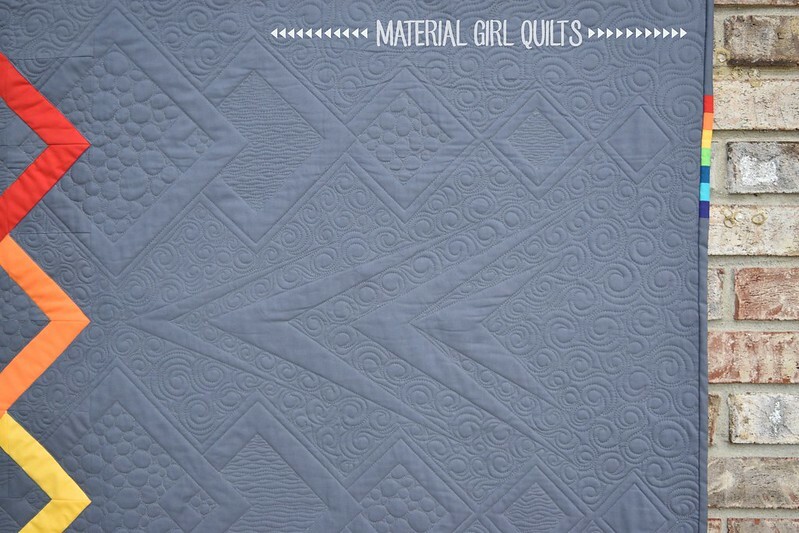 So I sent this one off to Marion of My Quilt Diet - and WOW OH WOW! Didn't she do an amazing job?!? 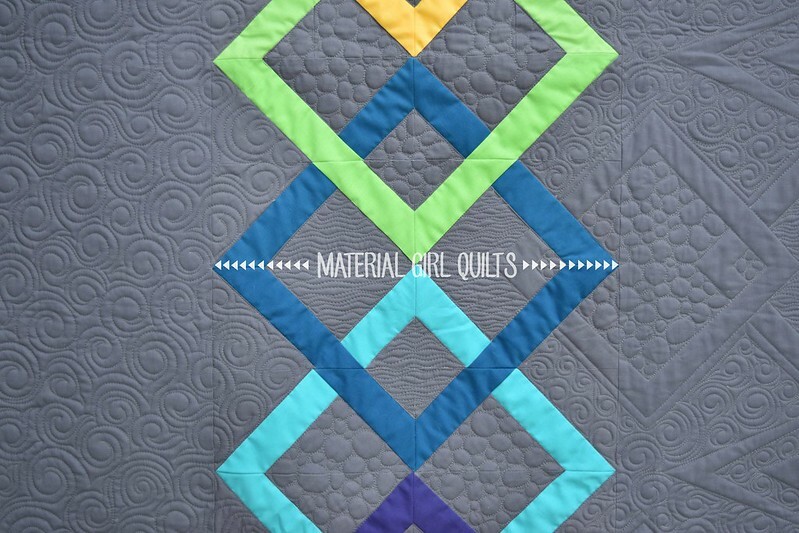 Marion finished the quilting this summer and when she sent it back my entire family was in awe! 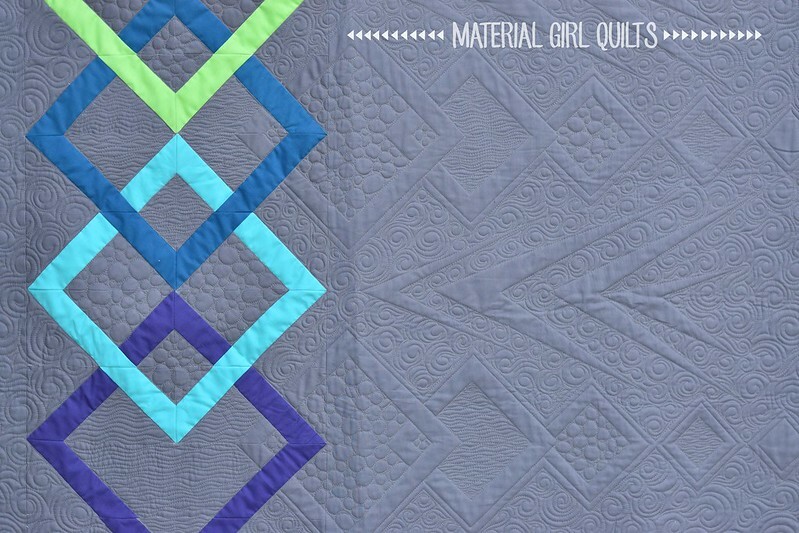 I can't recommend her enough for custom quilting. I didn't give her any direction, other than not to make it too "girly" since it is for my son. She delivered perfectly. See that little rainbow section on the binding? Funny story is that I was literally 2" short on my binding fabric. I purchased this gray over three years ago, how was I going to find an exact match for that? 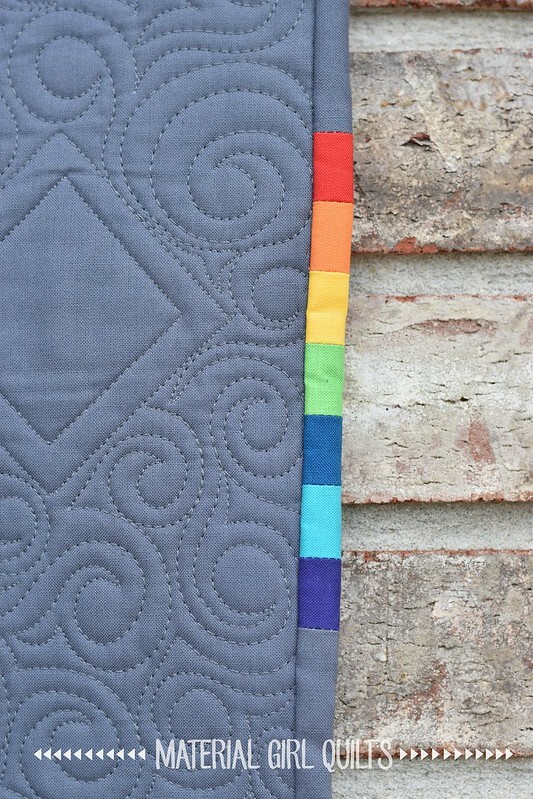 After a bit of frustration, I improvised and added a small rainbow and it's now one of my favorite things about this quilt. 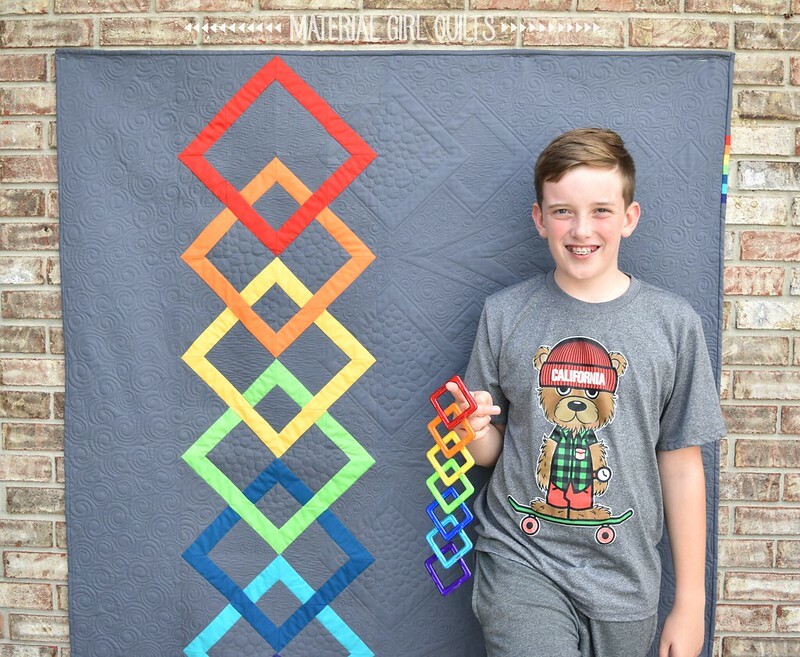 And here is my (now 11 year old) son in front of his new quilt holding up the original inspiration Magformers. 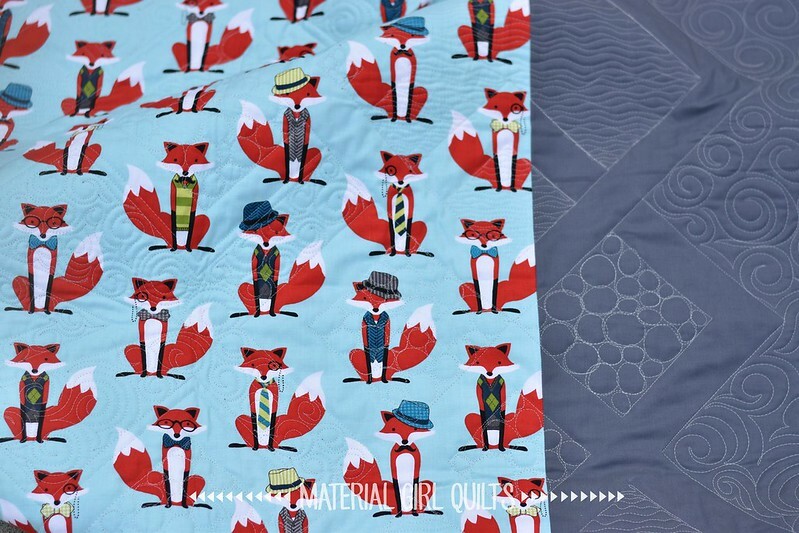 He picked this fun fox print to add to the pieced quilt back. It's just perfect for him.